Following the fundraising success of 2015, Butlin’s are very pleased to continue supporting Great Ormond Street Hospital in 2016. It has already been a very busy year for us, fundraising across all three of our seaside resorts, and Bognor Regis has been no exception. Here is one of our fantastic team stories from last week. 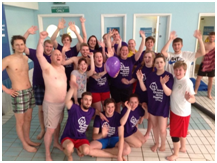 Minehead’s leisure team recently challenged themselves to swim 1852 lengths of their Splash Waterworld for GOSH. With such great success, the Bognor leisure team attempted to match them by carrying out 1852 runs of the ‘Crocodile Attack’ assault course. 1852 was the year which GOSH was founded, so the challenge was to hit this number in honour of all the fantastic work the hospital has done for so many families over the years. There were approximately 40 members from our Leisure, Sport and Funfair teams who all pitched in and took it in turns to make it across the course. 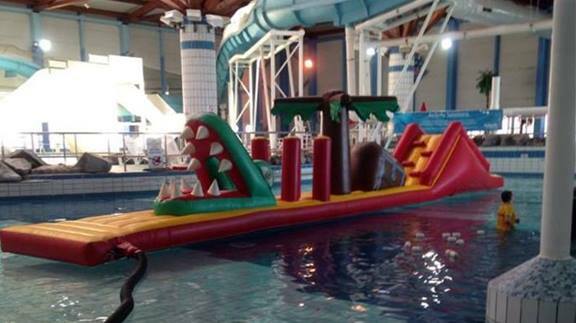 A complete run consisted of entering the inflatable at the start through the crocodile’s mouth, battling through the pine trees, hopping over the treasure chest before climbing the mound at the end and sliding down the other side into the water. An early exit from the course (falling off) did not count towards the total and the team would have to swim back to the start to give it another go! An exhausted team finally completed the challenge in the evening and all went home for a well deserved rest! The team managed to raise a whopping £2100 which will go to the hospital to support all the great work they do. 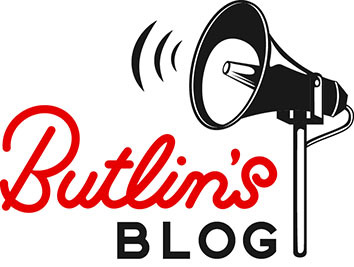 We would love to hear your GOSH fundraising stories, get in contact with us on Twitter @Butlins.